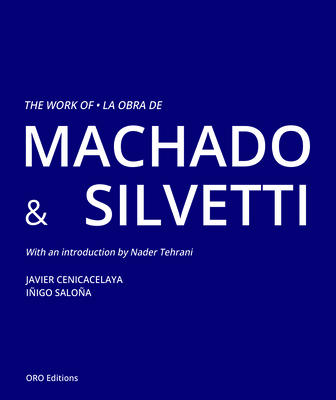 The Work of Machado and Silvetti presents the projects designed in the last four decades by these two architects. As active participants in the architectural scene of the '70s and '80s, they were intensely engaged in the origins of the debate that changed the course of architectural thinking, and of its pedagogical and professional practice implications. At the emergence of postmodernism, being considered as "outsiders," they escaped from the reductionist attitudes that either took historical forms for legitimizing architectural practice or renounced to accept that a tabula rasa as unthinkable. They confront the practice of architecture with realism and from a cultural perspective that engages the multiple social and technical practices that bear on the creative process of making architecture: they consider typologies as indifferent to function or to iconographic definition and defend the potential of architectural language and of architecture as a discipline. Rodolfo Machado and Jorge Silvetti have coined the idea of unprecedented realism to describe their distinctive design strategies and techniques of assemblage, personal interpretation, the production of meaning and the creation of emerging typologies. Their work pays attention to the culture, site, market, material detailing, and architectural composition.